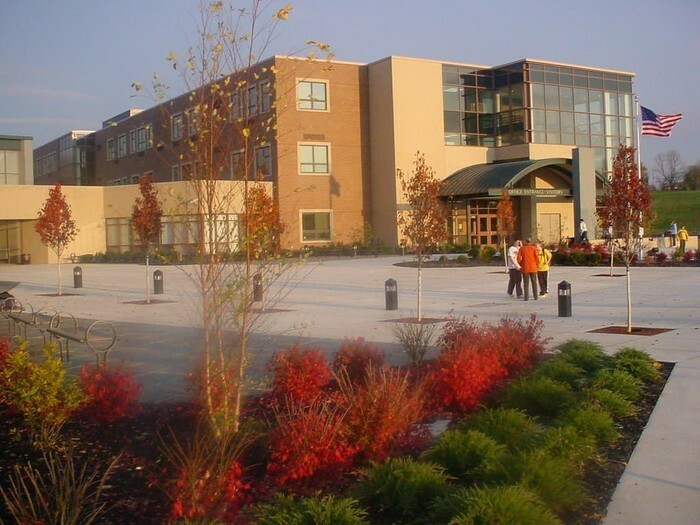 Welcome to Tohickon Middle School's DIGITAL VIEW. The DIGITAL VIEW will replace our standard newsletter that we published four times throughout the school year. We hope that you enjoy the photographs and information found in the DIGITAL VIEW. Stay tuned for future editions! 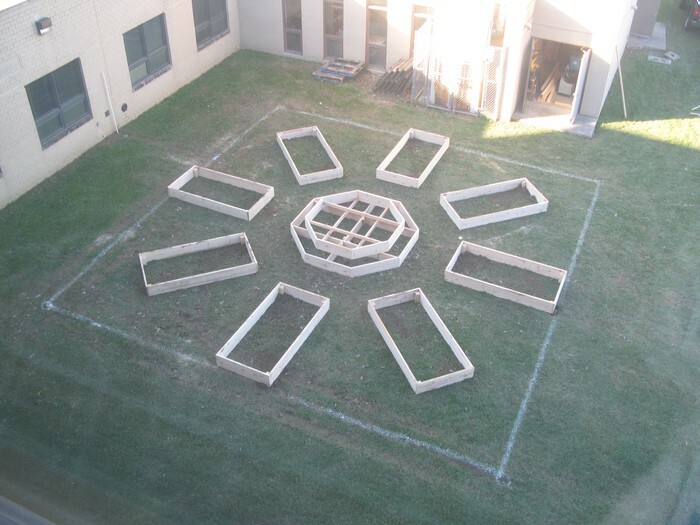 Our building Wellness Council has been working for the past three years to establish an outdoor classroom and organic garden. To date, we have completed our outdoor classroom area and we are now ready to tackle the garden. We have three goals for our organic garden. 1. 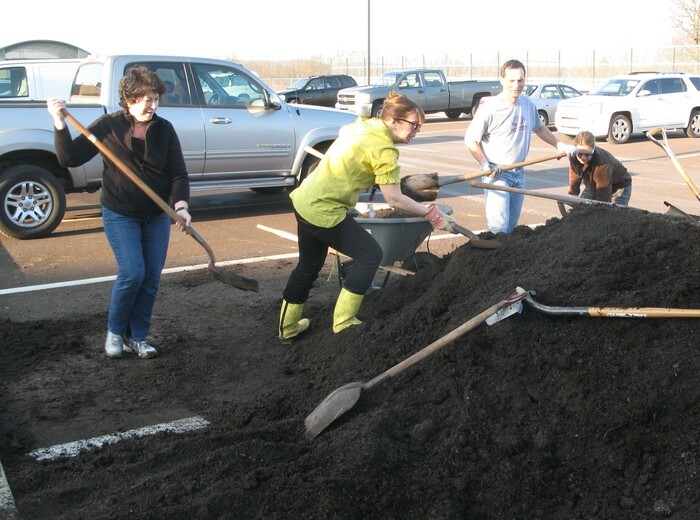 Our students will learn how to start and maintain an organic garden. 2. 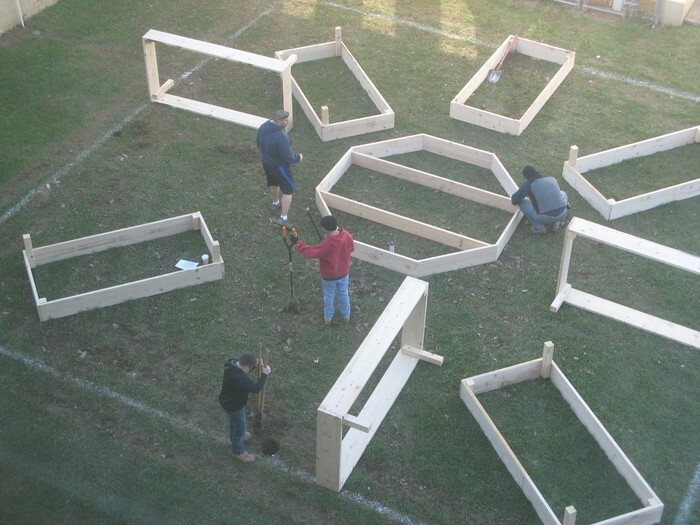 The garden will provide our students with an opportunity to learn about gardening, a lifelong hobby. 3. The garden will provide fresh produce to supplement our FCS curriculum and provide fresh produce for our local soup kitchen. 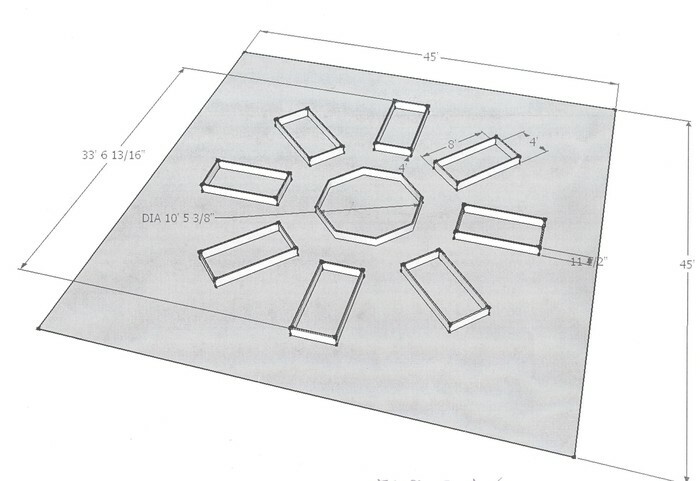 Our garden covers an area 35' x 35'. 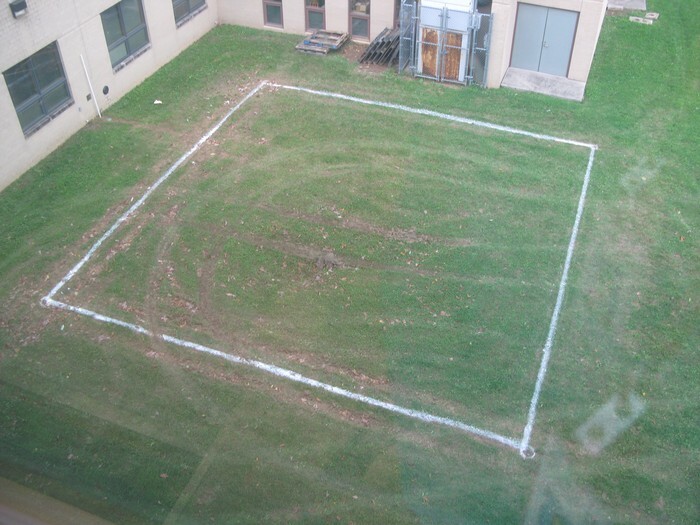 Our perimeter was marked and our irrigation system put in place. 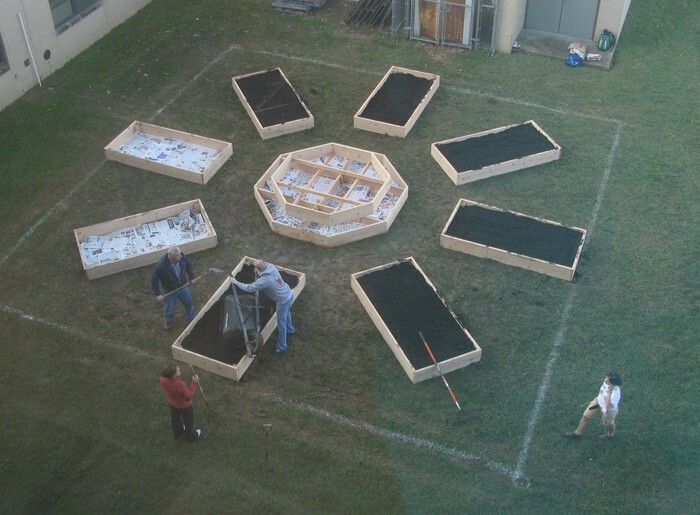 Mr. Good and his band of "Merry Men" built and installed our raised beds. 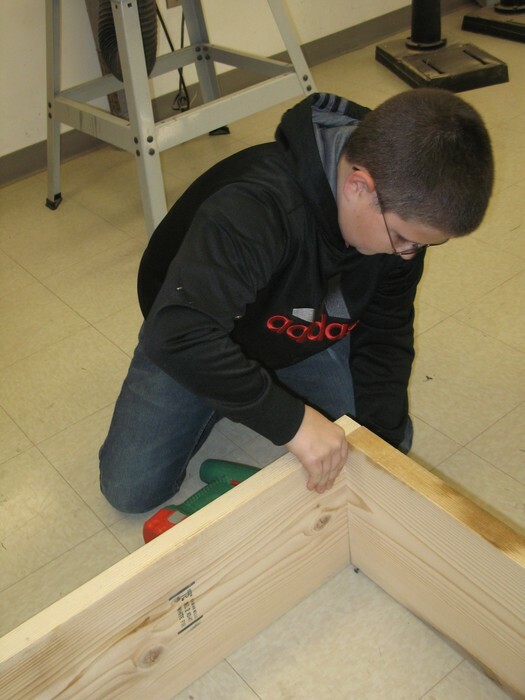 Each of the rectangular boxes measure 4' x 8'. 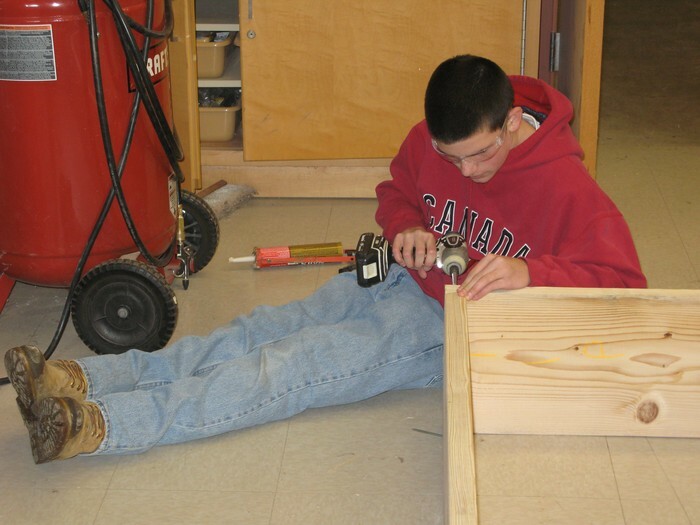 Mr. Good spent time with students in the wood shop to construct our 4' x 8' boxes. Diligence and perseverence was the mantra of the day. 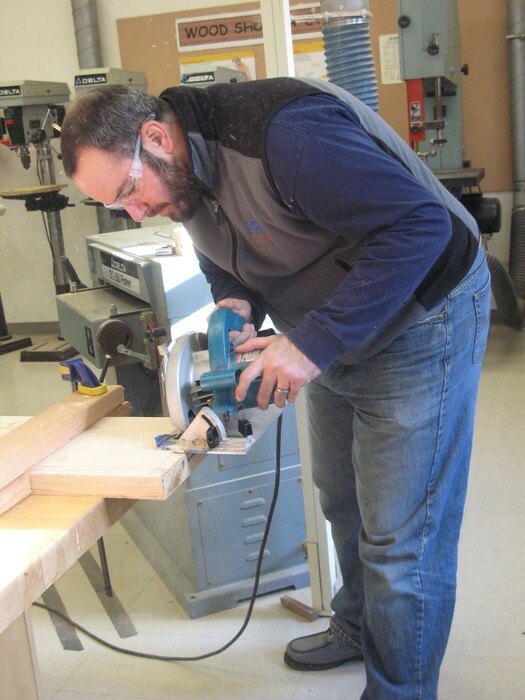 Mr. Good in his workshop...all fingers accounted for! 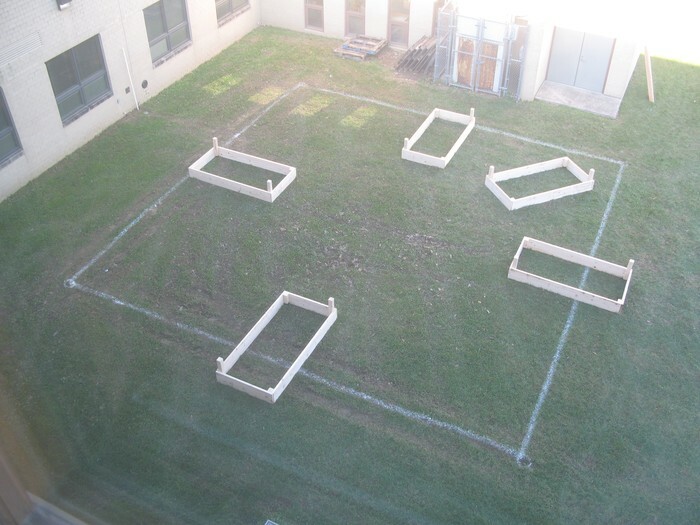 Each raised bed was put in place around the sprinkler system. One by one the boxes were fit into place. The number of rocks in the ground determined the length of each leg! 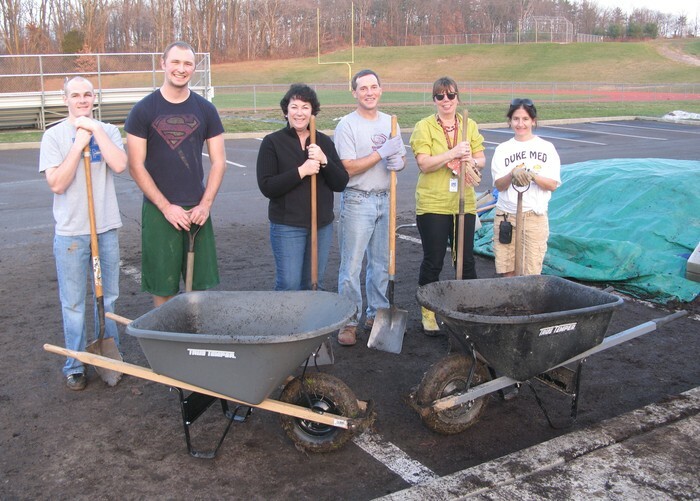 Students and staff fill endless numbers of wheelbarrows to fill our raised beds. 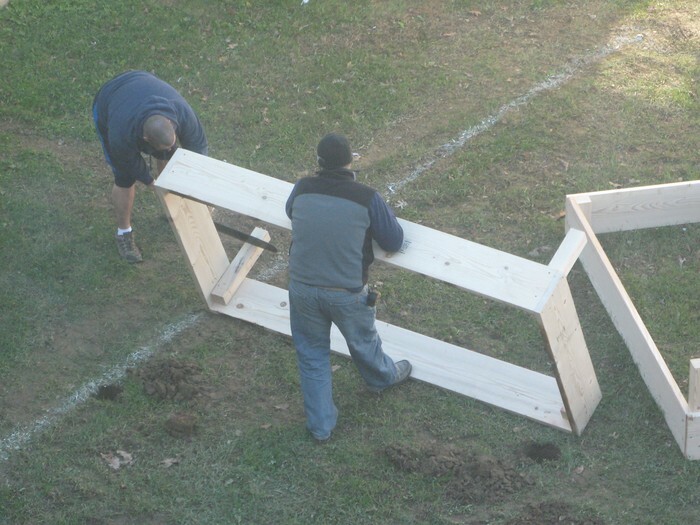 Thank you to all of the staff, parents and students who heled us to fill our raised beds! We lined our beds with newspaper before filling them with soil. 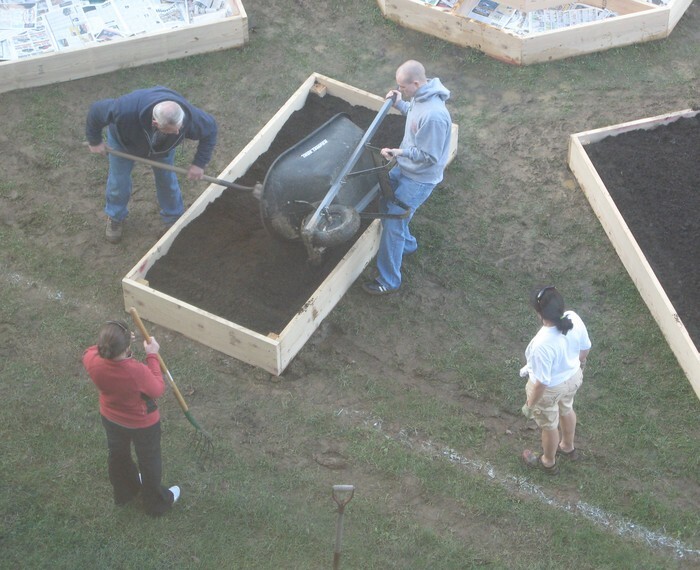 Students, staff and parents coming together to fill our raised beds with rich, dark soil. Our beds were filled one by one. 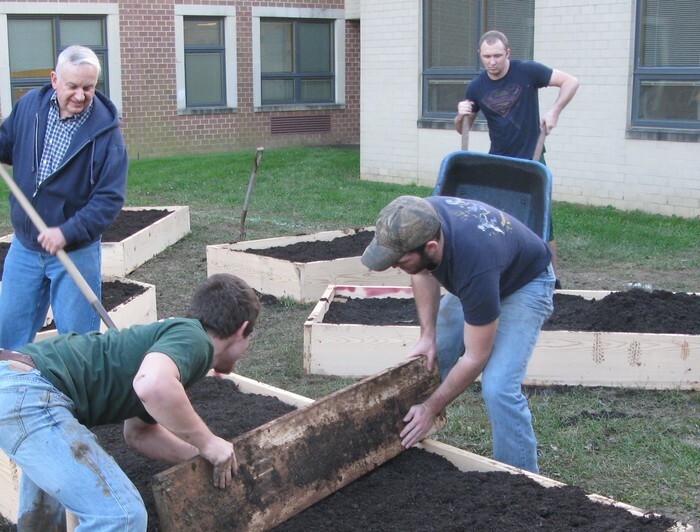 Delaware Valley College students and staff donating their time and energy to help with our garden. 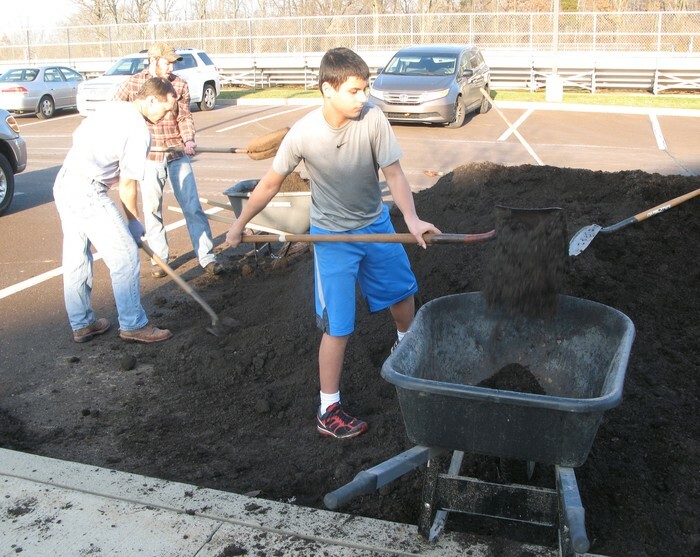 Several young men from DVC made light work of filling and leveling our raised beds. 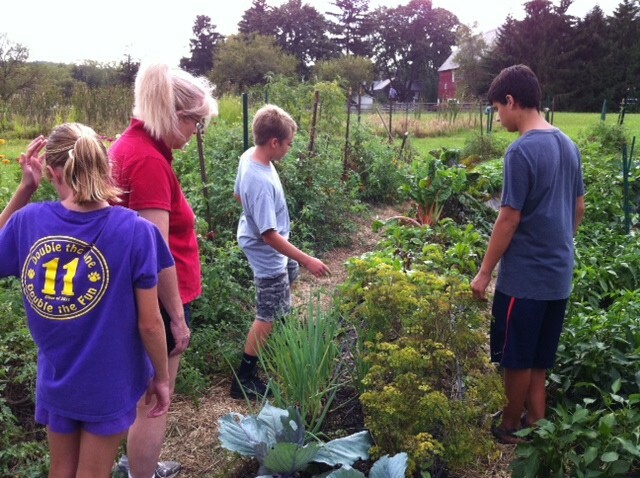 Several of our 8th grade students spent their summer growing vegetables in their organic garden. Proceeds will benefit this year's Relay For Life! Great job boys! 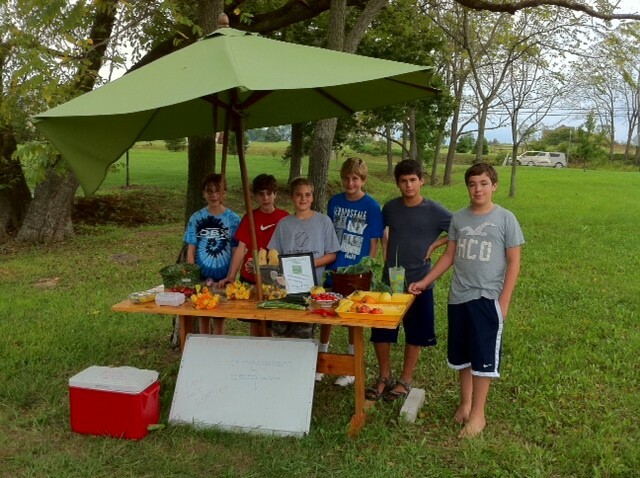 The boys offered tours of their garden in September. They will be overseeing our organic garden.